Today is World X-ray Day, the day which we remember the great invention of Wilhelm Conrad Röntgen (1845-1923), professor of physics at the German University of Würzburg. In diagnosing tuberculosis, the world’s deadliest infectious disease, the X-ray is still very much used. 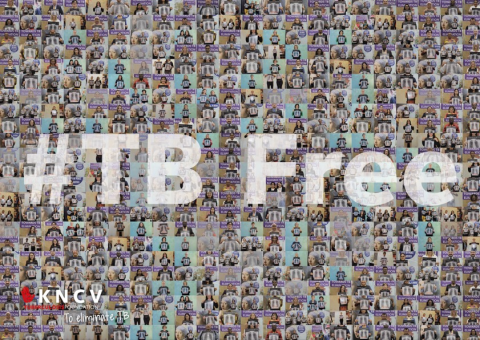 More than 100 years ago, X-rays forever changed TB care. But what will be the next game changer? Accurate, rapid detection of tuberculosis (TB) and TB drug resistance is crucial for improving patient care and decreasing TB transmission. The Xpert® MTB/RIF assay is an automated test that can detect both TB and rifampicin resistance, generally within two hours after starting the test, with minimal hands-on technical time. The World Health Organization (WHO) issued initial recommendations on Xpert® MTB/RIF in early 2011. GeneXpert, the test device platform, launched by Cepheid in 2004, simplifies molecular testing by fully integrating and automating the three processes (sample preparation, amplification and detection) required for real-time PCR-based molecular testing. Recently, also in Nigeria, the “Wellness On Wheels” mobile truck equipped with digital X-ray and GeneXpert was launched in Ogun State. The Challenge TB-financed truck and equipment, will offer free TB testing services in communities and provide rapid testing for suspected TB cases, meaning people who are infected can be placed on treatment as quickly as possible. An innovative new project to reduce pain for children undergoing TB diagnosis is on its way. Currently, TB diagnosis requires the collection of sputum, which in the case of children can be a painful affair. Only by forcing children to cough violently, or by inserting a tube into their lungs, can sufficient sputum be collected for a diagnosis. Sometimes this method is unavailable, so in an attempt to avoid this painful procedure, many children are misdiagnosed. An alternative to this method, using stool samples instead of sputum, has been developed. Providing a stool sample maybe easier on patients, the complicated guidelines make implementation impossible in the smaller clinics typically found in developing countries. In Ethiopia, KNCV’s activities to combat Childhood TB provided a uniquely well-suited environment to test this simplified approach in the field.